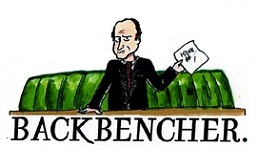 The Backbencher – EXCLUSIVE: Can this man save the National Union of Students? 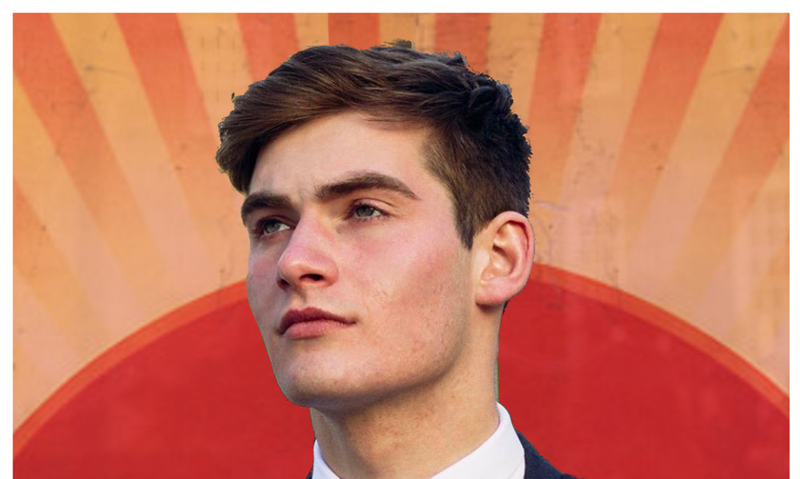 Five minutes into talking with Tom Harwood, one of three candidates running to be the next National Union of Students (NUS) President, and I’m convinced there’s been some sort of mistake. He’s yet to say he wants to ban anything, nor listed those organisations and democratic countries he wishes to boycott. And unless I’m very much mistaken, and I don’t think I am, he hasn’t mentioned intersectionality once. Presumably I’ve dialled the wrong number, or am the victim of an elaborate practical joke. Tom’s politics sound too normal, too like those of a conventional student, for him to want anything to do with the NUS. 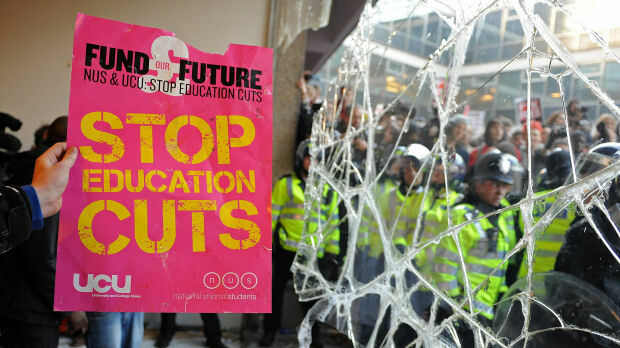 For most students, and till a couple of years ago I was one myself, the NUS is at best an irrelevance. At worst it’s an irritation inside an embarrassment inside a disgrace. Dominated by a hard-left clique, virtually unaccountable and about as representative of students as Austin Powers is of spies. But I haven’t made a mistake, Tom really is running to be NUS President. In many ways, and I choose my words very carefully, he’s the most revolutionary candidate to stand for the NUS Presidency in years. Tom is, in his own words, ‘very very radical by being very moderate’. He doesn’t want to abolish prisons or the monarchy, nor influence conflicts in the Middle East. This, considering the current state of NUS politics, draws attention. Tom’s flagship policy is to reform the voting system for future NUS Presidential elections, so that each student gets one vote. Strange as it sounds to many, the current electoral system doesn’t give a vote to the vast majority of students. Instead students vote, in elections which often have a comically low turnout, for delegates to represent their educational establishment. These delegates then select the NUS President. The candidates for President have usually worked in the student movement for several years, meaning they tend to be a good deal older than the average student. Tom is 20, whilst his rival candidates, sitting President Malia Bouattia and Shakira Martin, are 30 and 29 respectively. This, inevitably, means those who run the NUS have quite different experiences from those they are supposed to represent. I ask Tom straight up if he thinks the NUS, as it currently operates, is a democratic organisation. He replies that it ‘really isn’t’ adding ‘to pretend that there’s any kind of democratic legitimacy behind it whatsoever…is just not the case’. Tom’s other policies are a mixture of the serious and satire. At the satirical end he wants to ‘defeat ISIS using NUS boycotts’ and dedicate the fourth Trafalgar Square plinth to the current NUS President. Yet he also believes he can get the NUS taken seriously again. 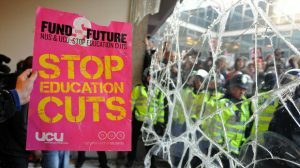 He argues that those in power currently think the NUS has become ‘delegitimised and fractured’ by its association with fringe causes, making them reluctant to deal with it. Tom thinks he can end this, gaining enough credibility to implement real change. Specifically he hopes to raise the repayment threshold on student loans, lower alcohol tax on student bars and pressure the Student Loans Company to pay out money to students more quickly. I ask Tom about the ongoing controversy within the NUS over anti-Semitism. Before she assumed the role the current President had made a number of comments about ‘zionist’ influence in the media and higher education which many considered to be anti-Semitic. This ‘many’ includes the House of Commons Home Affairs Committee, who recently published a report which accused Malia of making comments which smack ‘of outright racism’. Tom shares this sentiment, stating that Malia ‘has said anti-Semitic things in the past absolutely’. I follow up by asking if the NUS has become an ‘uncomfortable place for Jewish students’, Tom thinks it has, replying ‘yes absolutely, I think it’s become really sectarian and unwelcoming’. He’s made addressing this one of his top priorities. The present leadership of the NUS are virtually the dictionary definition of an out of touch elite. Not directly elected, violently unrepresentative of average student opinion and essentially unaccountable (with secret votes in conference). For a long time moderate, and especially centre-right, students have regarded it as a lost cause. An embarrassment yes, but one it’s easier to ignore. Truthfully Tom is unlikely to win. To do so requires the support of representatives elected under the current, questionably democratic, system. Whilst he does have the support of some fellow reformers, I doubt he has enough. Yet Tom doesn’t need to win to make a difference. If he can demonstrate that the NUS don’t belong to a hard-left clique, and so encourages a greater diversity of student to get involved, that would be a success. 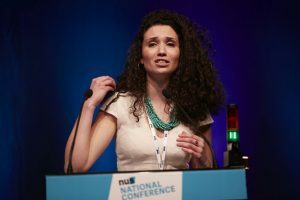 Perhaps, and I’ll admit I say this with some trepidation; it might still be possible to save the NUS.